Furthermore in a reversal of Microsoft’s stance on Windows XP being deemed end of life and no longer supported or having any further updates released for the Operating System, Microsoft have back tracked and released this fix for its ageing Windows XP platform. This news has caused some controversy and some confusion by sending out mixed messages to Windows XP users that Microsoft will still support their operating system. Although Microsoft have allowed this one fix to be rolled out on to the XP system, we doubt very much they will release any more. 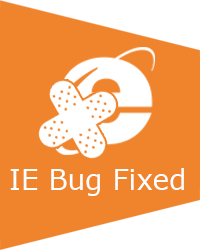 This bug discovered in IE affected many versions of the browser from version 6 all the way through to version 11 and has been around for some considerable time affecting Windows XP, Vista, 7, 8 and 8.1. It has sparked many users to switch browser and start using alternatives such as Google Chrome or Firefox if they didn’t already. All these factors combined, time the bug has been around, the number of versions of Windows affected, severity of the bug, and the mass migration of users away from Internet Explorer caused Microsoft to have a one time change of heart. We don’t believe Microsoft will repeat this in the future and Windows XP users should not get their hopes up or be under any illusion that it will happen again. XP is dead to Microsoft and they will want to keep it that way.